What a great house on a beautiful property surrounded by even more beautiful nature. Had a great time and cant wait to go back. Really enjoyed our 6am visits from the heard of whitetail and wild turkeys! The owner, Rudy is great - very friendly and great communication! Thanks Rudy! 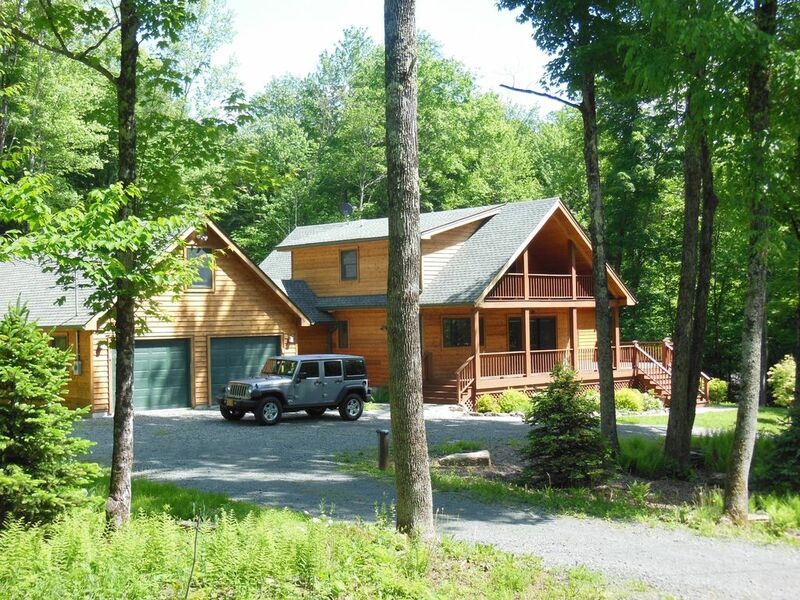 This is a nice cabin very close to some prime Beaverkill waters a few minutes outside of town. The place was out of propane when we arrived, and the sheets were not on the mattresses, but otherwise, everything was perfect. The host resolved the propane issue the next day, and in the meantime we used the nice outdoor grill. We saw two wild turkeys in the yard, and slept very well in the peaceful setting. Great fireplace, reliable wifi too. We drove up from Orange County, NY with our four girls to celebrate a quiet Christmas in the woods. The cabin impressed us all from the minute we walked in the door. There was plenty of space for the kids to play and the living room was great for Christmas. The kitchen was spacious and well equipped. Roscoe has plenty of great things to do for our activity/insterest level. We are ready to book for next year! This property is wonderful ! My family will definitely rent this property whenever we are in the area. It felt like a real home and is maintained with attention to every detail. Owner was great to work with! Overall the best home rental I’ve experienced. 6 stars! The living space is spectacular, open beams, large windows provide natural light and living room fireplace is an invitation too relax. Master bedroom space very private & comfortable. Kitchen has all the cooking utensils available. The house construction has so many details that will enhance your stay. We were really happy with this house. It’s spacious and comfortable, with a fairly private wooded lot. We spent a lot of time on the deck and in the hammock. Can’t ask for more!